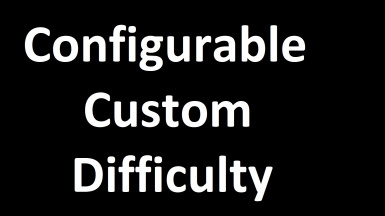 You can edit the CustomDifficultyConfig.json file to change how much extra of each stat you would like. These values are added on top of the base values. Set config value to 0 to just use the vanilla value. Credits to Anarchism36 the maker of Configurable Stamina Regeneration﻿﻿ mod which I used as a reference to make this mod. Step 4) Enjoy the game!